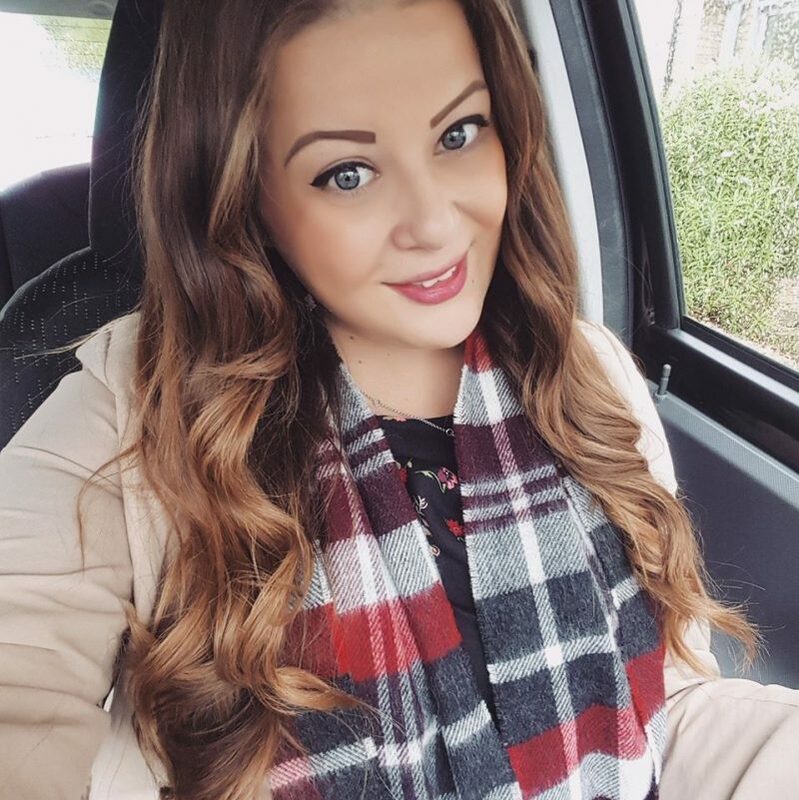 I’ve recently been invited by Voucher Codes to take part in their new Life Hacks challenge! I’m sure you’ve all gathered by now that I’m quite the bargain hunter and a general all round thrifty being. I love to get a good deal, and I never buy anything without first making sure I’m getting the most for my money. I think this used to be thought of as a bit stingy, but I’ve noticed in recent years, this kind of thing is generally more accepted. There was probably a time when some people wouldn’t step foot in a discount store for fear of being looked down upon, but I think these days, people are more interested in saving money. This is probably down to the credit crunch years and a big down turn in the economy, people were looking to save money any way they could. So now it seems everyone is pretty welcoming to find the best ways to spend their hard earned wages. I did a similar blog post to this one last year, so here’s a few new updated life hacks to help you save money! Ah the sweet World Wide Web. In recent years loads of websites have sprung up to help you save money, so use them to your advantage! You can find discount codes for almost any store, which you can then enter at the checkout online, or you can even get printable vouchers to use instore. There’s also a range of price comparison websites which you can use when you make bigger purchases, such as car insurance. This year I managed to find my car insurance for £100 cheaper than my renewal quote by shopping around. I am also a lover of cashback sites, and I use Quidco for almost all of my online purchases. It’s really easy to sign up, and you simply click through their website to the retailer and then purchase as normal. Website cookies will track your purchase and give you a % back as cashback. There are even websites such as Cloud Freebies listing lots of daily free stuff! You can get loads of stuff delivered to your door for free.. from cat food to perfume samples. It’s a great way to try a product before you buy. I hate buying full sized products and then not liking the product much and regretting the purchase! I much prefer real life shopping to buying online. It’s so much more fun, and there’s so much to explore! But I know that some peoples idea of fun isn’t exactly traipsing around the high street. However, it doesn’t hurt to introduce yourself to some new shops now and again. It’s only recently I discovered the delights of places like B&M and Home Bargains, and they’ve now firmly become my favourite shops! You can get almost anything there, for super low prices. Then there’s my old favourites; Poundland, Wilko, 99p store, where again you can pick up loads of stuff, from household items to beauty stuff and toiletries. I also tend to stock pile my most used toiletries if I see them on special offer or they’re reduced. The shampoos, shower gels, and cosmetics I buy are often on 3 for 2 in Boots, so when I see them on offer I’ll buy them before I run out! 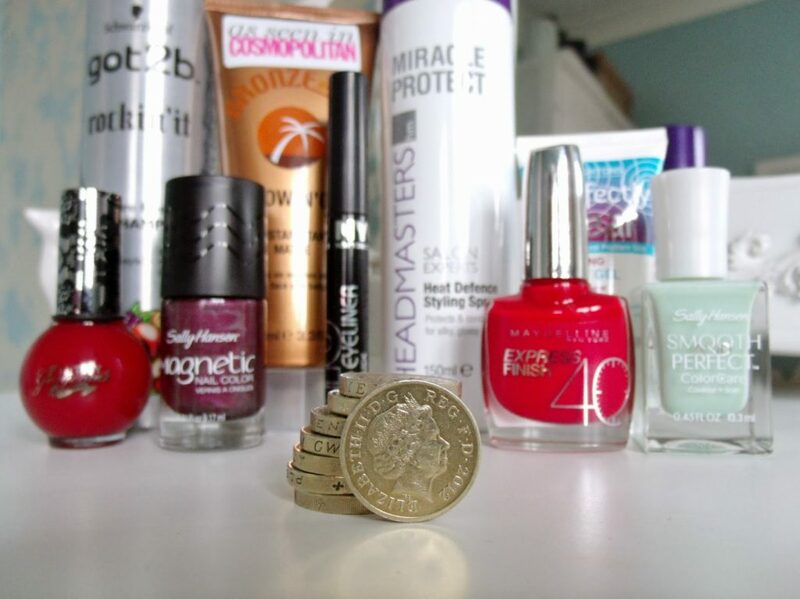 Poundland is a particular favourite, as the last year or so has seen a large increase in proper branded items, especially cosmetics and nail polishes. They’ve been known to sell Rimmel, Maybelline, Sally Hansen, and Revlon, for only a fraction of the price of Boots. It’s a great way to experiment with new looks and nail designs without splashing £6 on one bottle. And don’t worry.. they’re not all manky old/damaged/gross items; they’re all brand new, just like you’d buy from Boots, but are usually discontinued or imported. Even with clothes stores and supermarkets, why not try popping into Primark or Lidl/Aldi if it’s not a place you’d usually frequent. I promise you you wouldn’t regret it! 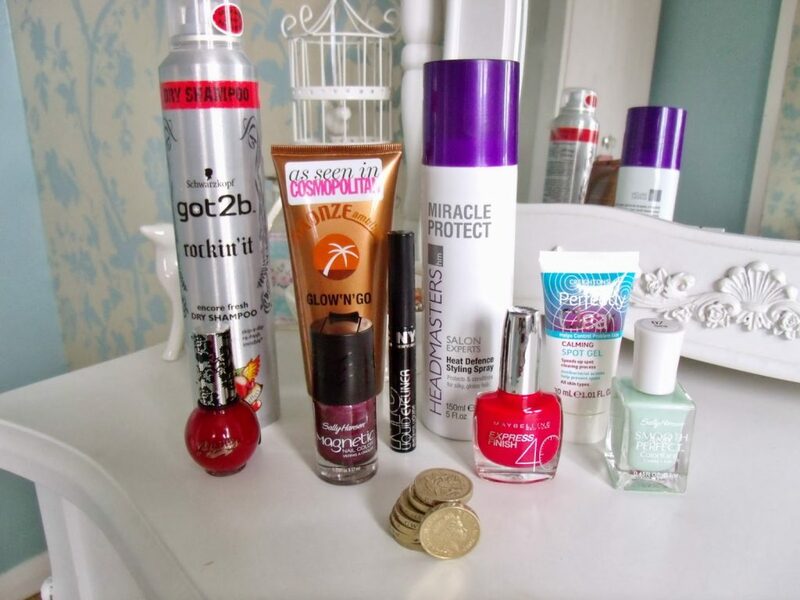 Check out all these beauty products I’ve bought from pound shops recently. Branded products at a fraction of the normal prices, and often can still be found in Boots etc. Why pay more? You can get so much for £1! Music: I use Spotify to listen to my music. I pay £9.99 a month and it means I can listen to as much music as I like, online or offline, from my laptop, smartphone, or iPad. It has literally every song you could ever need on it, and you can create playlists and share tracks with your Facebook friends. You can sign up for a free 30 day trial, and there’s also a free option which uses audio ads. 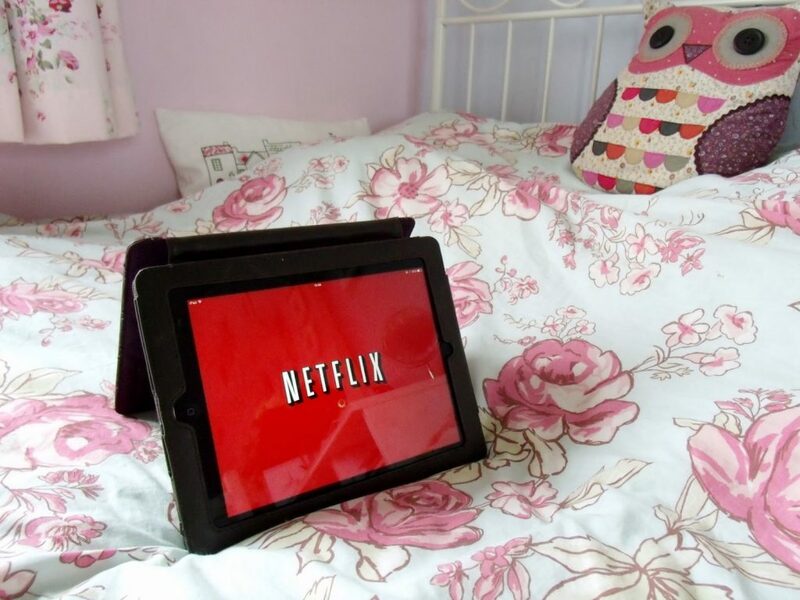 Netflix: Again, you can sign up to a free trial of Netflix to watch all of your favourite TV shows and movies online. This is so great to have on my iPad, I don’t know what I’d do without it, and it’s only £5.99 a month. And if you want to find out how to watch US TV shows (aka Desperate Housewives!) from your UK Netflix… click here! travel agent can do you a better deal. Eating Out: Whenever I go out for dinner with Liam or my family or friends, I always check to see if there’s any printable restaurant vouchers available. Although using these would probably be frowned upon on a first date, my friends and family equally love to save money as much as me! 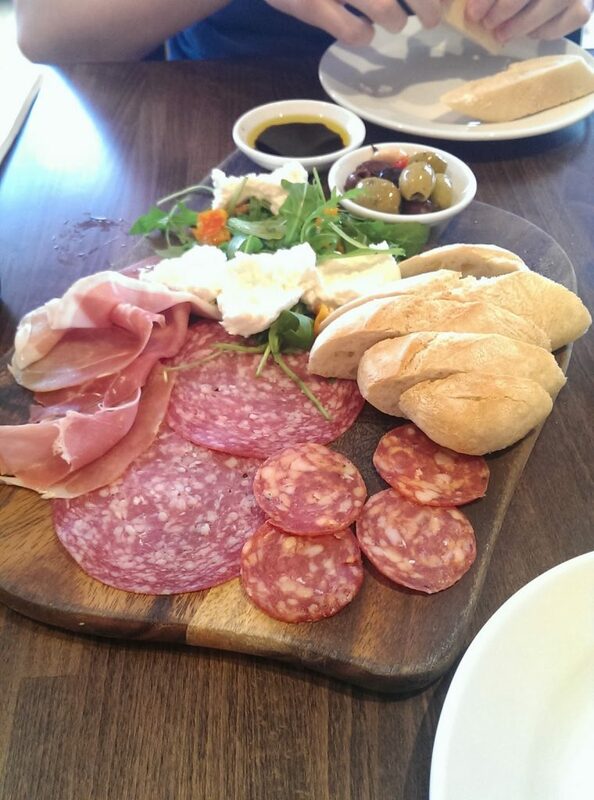 Vouchers are often 2 for 1, which effectively makes the main meals half price! On to less fun things, matters such as banking, loans, bills, mortgages etc are all expensive, but there’s sometimes ways to cut costs and make the most of your money. Make sure your bank is right for you; does it offer the best interest rates/lowest charges/a suitable overdraft limit? The interest rates really just applies to savings accounts rather than current accounts, but if you’re saving up, then make sure your savings account or ISA is offering the best rate. This often changes annually, so each April, check what your interest rate is and if it’s fallen from last year, see if you can switch to another bank. Earning interest is a free and effortless way to make money.. and the more you save up, the more you will earn! really desperate. 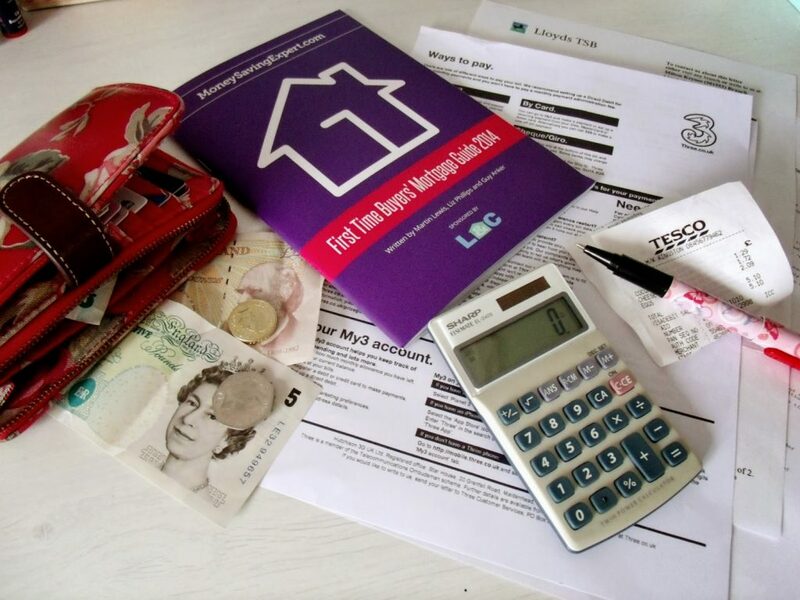 If you need to borrow money, consider a low interest bank loan or credit card instead, just make sure you know the fee’s and charges that apply, and make sure you meet all of your repayments. cancel them. Don’t waste money on something you don’t need or use. see if you’re overpaying for a phone you don’t use as much as you could. channels, that paying £40 a month for a few extra channels seems a huge extra. can hugely boost your income. And if you live in your property with no other adults or you’re a student, make sure you have a single person discount applied to your council tax bill. Thinking of buying a house? Order a free copy of MSE first-time buyers’ mortgage booklet to help you on your way. again. Check out all of my DIY projects here. I’m sure you could paint your own walls and wash your car. and more fun to do it yourself! And who doesn’t love a home made cake.. they’re so much tastier than shop bought ones! Even if it doesn’t look professional, it will probably still taste better and the thought will make it extra special. And it’s often cheaper to make your own sponge cake than buying from the supermarket too! 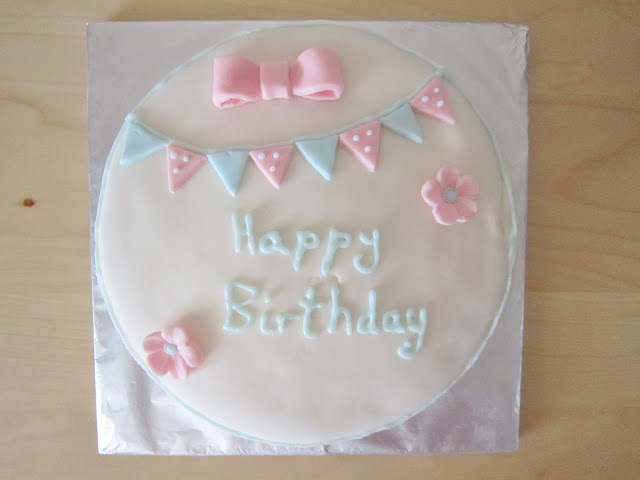 One of my first ever attempts at making a birthday cake for my Mum! This was a couple of years ago.. I like to think my skills have improved since then! Check out my most recent DIY project. 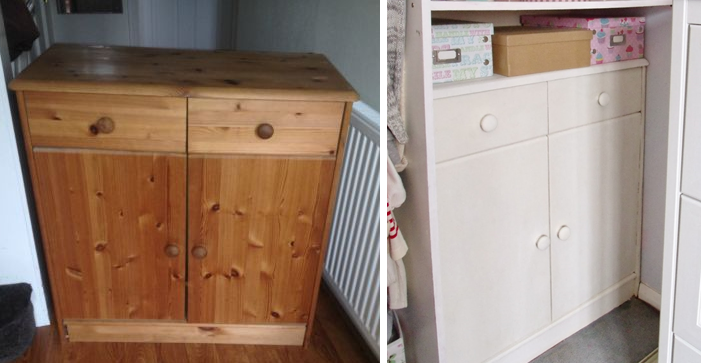 Last week I won this solid wooden cupboard on eBay for only £12.50 (similar ones are over £100 in Argos!). And it wasn’t far from me, so my Dad went to pick it up for me (luckily he has a big Land Rover!). I wanted it to fit in the gap in my fitted wardrobe, but unfortunately it was too wide. But my lovely Dad sawed the edges off and wedged it in so it just about fit in! Then I gave it a sand down and painted it white so that it matches the rest of the furniture in my room. It’s perfect for storing my heels in and some books, and my little boxes fit on top too, which are filled with make up and nail polish! It’s not perfect, but it is just what I needed and provides lots of extra storage space. A few weeks back I put a poll in my sidebar, asking you what your favourite types of posts to see from me are. 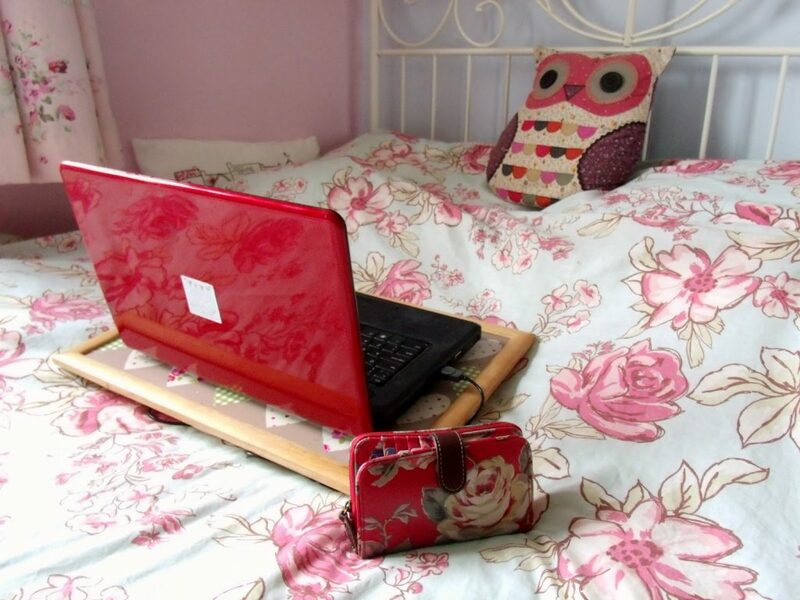 The most popular seems to be shopping hauls and money saving tips. I frequently get comments asking about how I get freebies, save money, and get good deals on my shopping, so I will try and do as many posts as possible on this kind of thing! If you haven’t already voted, feel free to cast your preference of blog post in my sidebar! I would also like to thank those of you that do leave me comments, it’s very pleasing to hear that so many of you enjoy reading my posts on bargain buys. Some have said it is refreshing to read compared to others who post on designer goods, which not everyone can afford. So I’m glad so many of you have caught the money-saving bug! I have introduced a new ‘money saving‘ tag as well as ‘bargain buys‘ to my blog post labels, so you can read about it more easily. 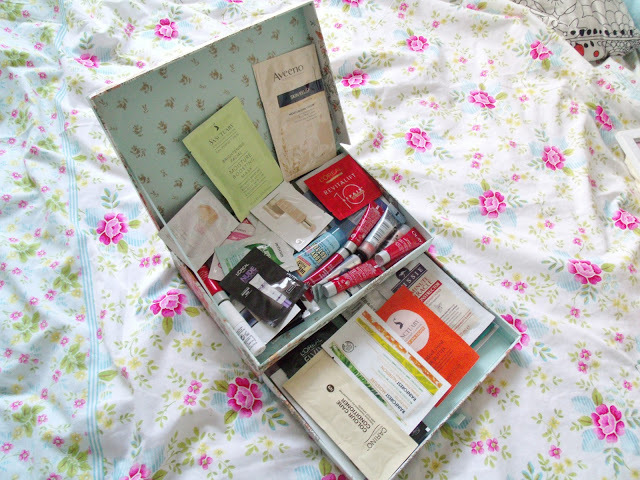 So todays money saving post; Superdrug are offering free delivery on all online UK orders! This automatically saves you £3, as well as a trip to the shops. I like ordering my make up and toiletries online, if I already know what I’m looking for. This is because usually the shop will have run out of the shade/colour or item that I wanted, and then I usually end up buying an alternative that isn’t quite what I actually wanted, therefore wasting money. But by buying online, I know what items I want, and I can simply add them into my virtual basket, and have no hassle of queues etc. This obviously isn’t as easy if you’re wanting to swatch cosmetics etc, but you can always have a quick Google search to view swatches and reviews from beauty bloggers. Superdrug also have some great offers on at the moment, including on cosmetics, but especially good deals on general toiletries. They’re offering a £2 saving on Revlon Just Bitten, 2 Barry M polishes for £5, and great discounts on skin and hair care products. 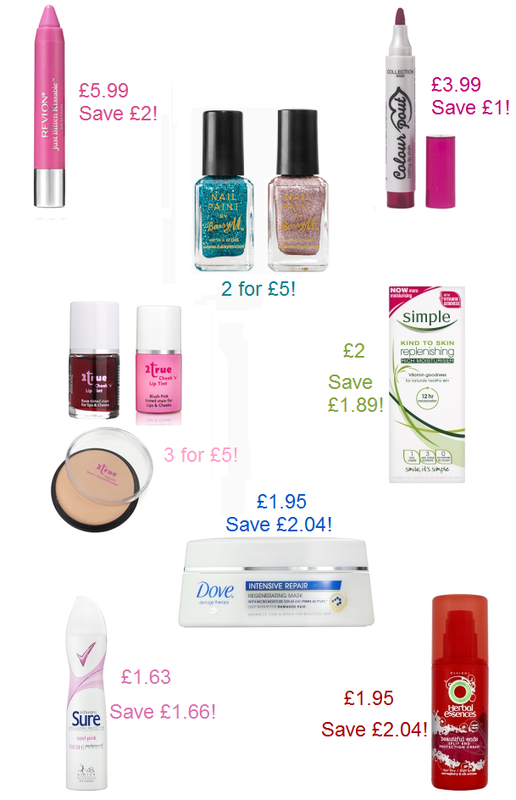 Whenever Superdrug offer free delivery, I like to stock up on the items I use up most if they are on special offer. I have a large collection of shampoo, moisturiser, razors, face wipes etc that I’ve bought whilst they are on special offer, and I keep my cupboard stocked up. This usually saves me about 50%, as half price deals and buy 1 get 1 free deals are my favourite! So there’s good savings to be had, and you will never be ‘caught short’ when you’ve used up your last face wipe the night before. Also, don’t forget that if you are signed up to Quidco, you can claim 5% cashback! To read more about Quidco, see my previous post. How much do you think you could save if you bought all your toiletries on special offer? Did you find this post useful? Would you like to see similar posts in future? Let me know!